In addition to the crisis that harmed all areas of the economy, features of a new market still are breaking telehandler sales Brazil. One of them is the unfamiliarity with the potential of this family of equipment. Another is the purchasing cost, above potential competitors in load handling activities. In fact, after going through a market boom some years ago, the equipment had a considerable drop of its sales in the country. Only a few units (about 50 to 60 machines) were sold in Brazil in 2017, according to different estimations. The demand is expected to be maintained in the same level during this year. These low numbers, however, do not impede that manufacturers would invest in the evolution of the machines available in the national market. Even on the contrary. 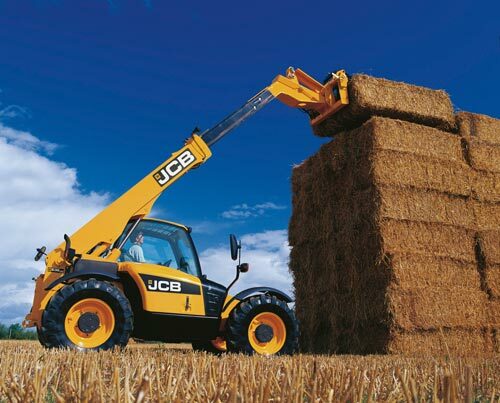 The global portfolio of JCB includes from telehandlers with load capacity from 1.6 t and working height from 4 m to options that may lift 4 t at 20 m. Two of them, the models 535-125 and 540-170, respectively with capacities of 3.5 t and 4 t and heights of 12.5 m and 17 m are already being produced in Brazil. Manitou got its highest sales volume with the telehandlers MLT-X 735 and MLT-X 840, also directed to the agribusiness. “Considering also items such as steering or joystick, cab variations or different types of seats, in addition to height and capacity, we have more than 400 configurations of telehandlers around the world”, says Marcelo Bracco, brand director for Brazil and Latin America. Telehandler manufacturers with no local production are facing more difficulties to compete in this still-incipient market. This is the case of Haulotte, which did not get the tax benefit of the Ex-tarifário—regime that gives tax reductions to capital goods imported from other countries and with no national similar—to their telehandlers. “It became more difficult to compete with local manufacturers. Our last equipment was imported more than one year ago”, says Marcelo Racca, sales executive from the company. Haulotte, however, goes on improving its global portfolio in the industry. In the beginning of the last year, the brand started a line qualified as “heavy load”: machines with working height of 10 m and load capacity varying from 5.2 to 7.2 ton. “Usually machines with 10-m height have load capacity up to 4 ton, but with items such as outriggers and heavier counterweights, this limit may be enlarged”, points Racca, that includes mining and agribusiness as the more interesting potential markets for this line. More directed to construction, New Holland also does not abandon the national market for its equipment. The company is currently bringing to Brazil the models LM1445 and LM1745, with booms powered by hydraulic cylinders instead of chains—more common in telehandlers. “This hydraulic system improves the precision in positioning, is faster and safer, and needs less maintenance”, compares Rafael Ricciardi, product marketing expert from New Holland Construction. 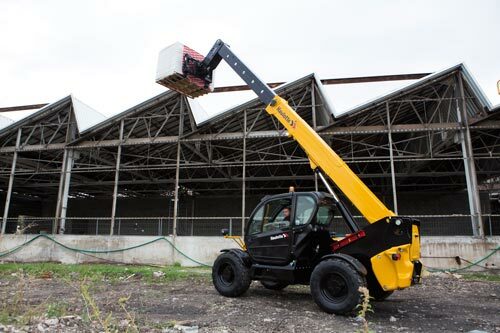 “In addition, while most telehandlers operate with calculations carried out using tables and calculators, these two models have load cells installed in the rear axle that monitor its torsion, transforming data in graphic and audio information, ensuring higher safety to the operation”, adds him. Ricciardi ensures that New Holland models available in Brazil also have quite elaborated and ergonomic cabs with the entire internal surface coated with ABS, for example. Steering with joystick and single levers to command boom and attachments are also available. “Boom command has electro-hydraulic powering with a switch to command proportionally the hydraulic flow, thus allowing higher precision when moving the boom”, says him.